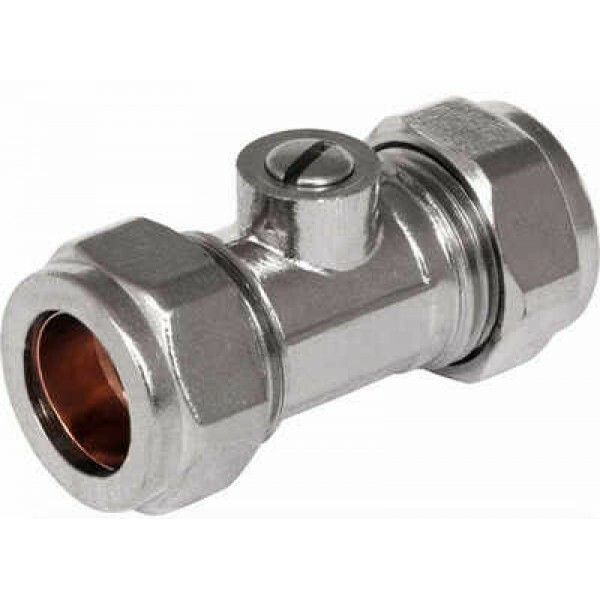 A quality 15mm chrome plated isolating compression valve. Used to isolate supply of water to toilet cisterns, sinks and showers to enable service or repairs to be carried out without turning water off to whole of the caravan. Suitable for use on plastic pipe.